FGM sofa laddersare well design and use the finest quality materials to assemble a top quality ladder. 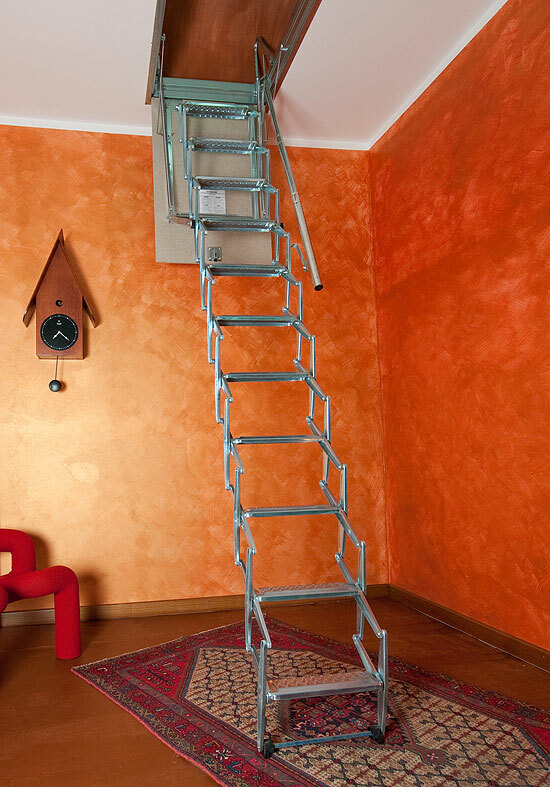 FGM sofa ladders offer quality, reliability and guaranty a long life span. 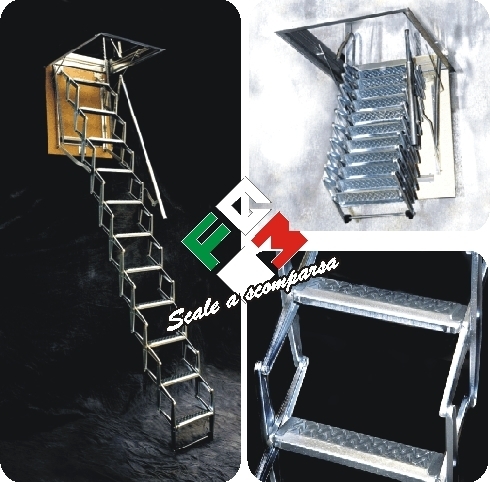 Moreover FGM sofa ladders are able to offer stairs or spiral staircases, if the given dimensions could allow it. 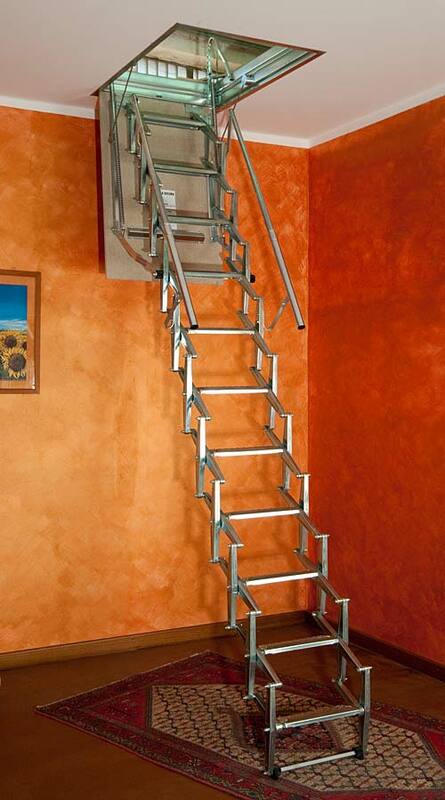 Scissor ladder in pressed steel with high strength galvanization zinc plating or oven painted steel using polyester powder paints, complete with metal lock fitted in the top quality and durable plywood door panel, 2 top landing handles, 1 telescopic handrail ladder pull-down pole, 4 fixing brackets and end tube. 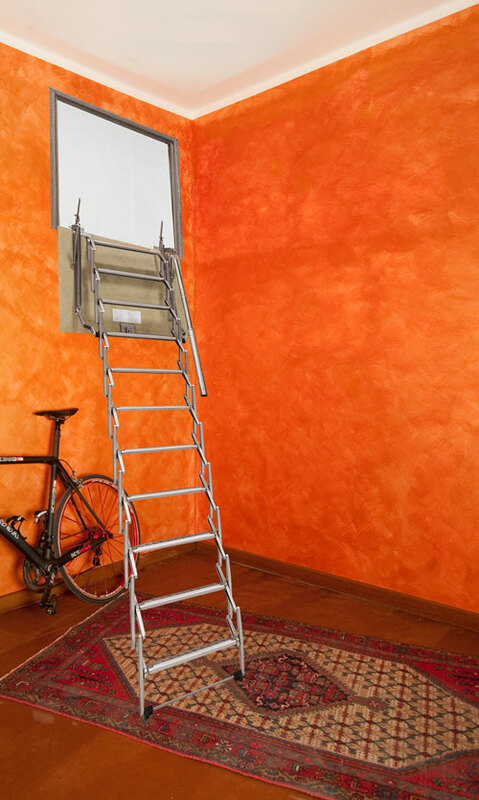 This retractable ladder is certified to sustain 270kg of weight. Strong scissor type ladder complete with metal lock fitted in the top quality and durable plywood door panel, 2 top landing handles, 1 telescopic handrail , 1 ladder pull-down pole, 4 fixings. 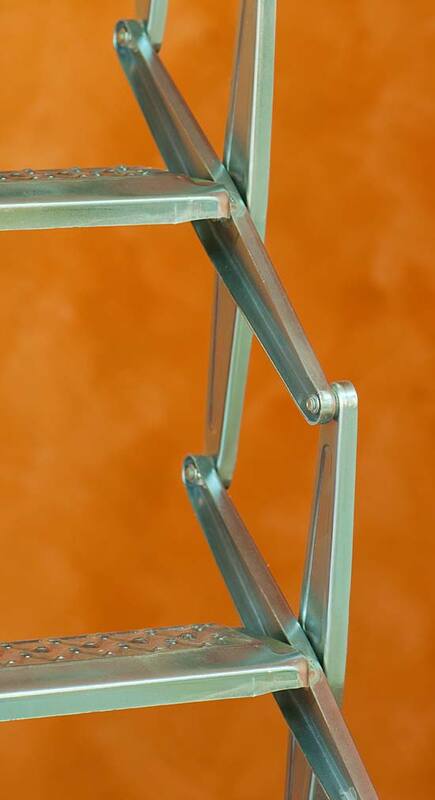 A heavy duty sofa ladder recomented for high traffic. 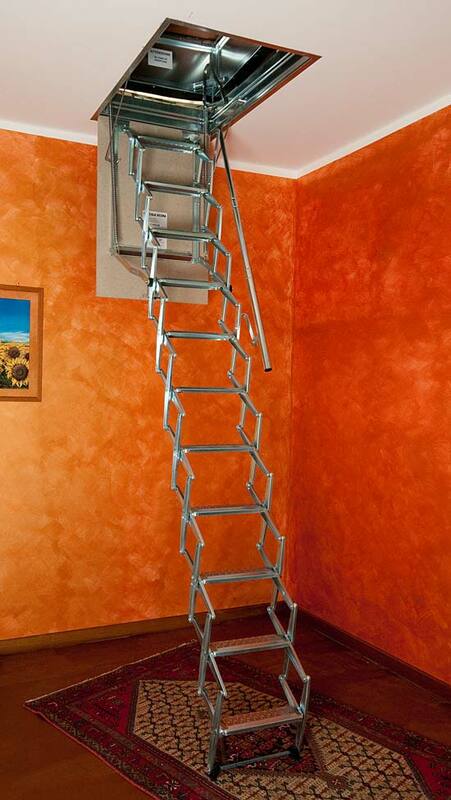 This retractable ladder is certified to sustain 420kg of weight. The Four-piece ladder is probably the best choice. 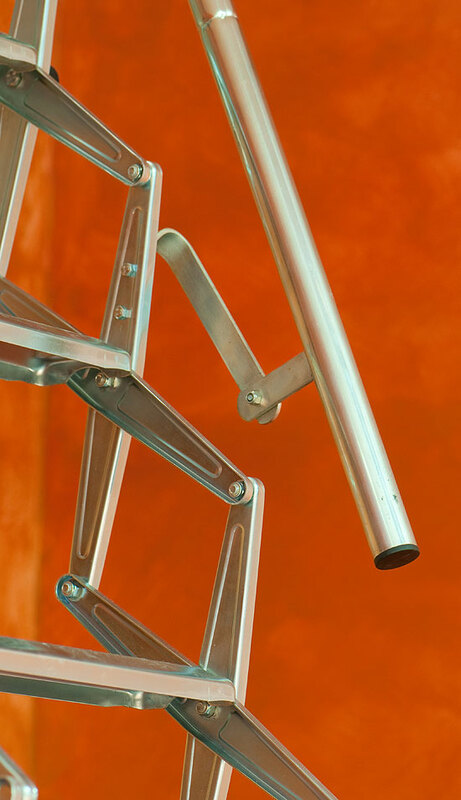 Due to the structure it is more operational , easier to fold and unfold and safer to climb. It is made of pressed steel with high strength galvanization zinc plating, folds by means of balanced hinges, and comes complete with metal lock fitted in the top quality and durable plywood door panel, 2 top landing handles, double lateral handrails, 1 ladder pull-down pole, 4 fixing brackets. 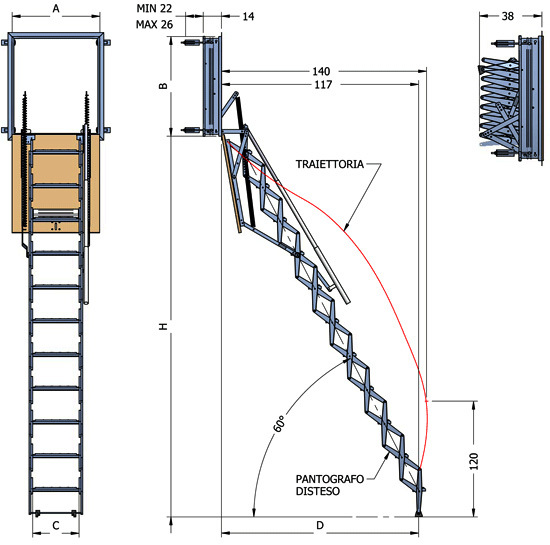 This retractable ladder is certified to sustain 270kg of weight. 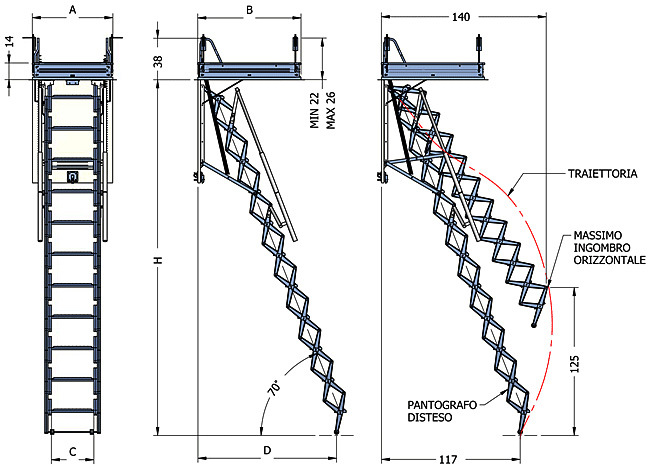 Pantograph ladder for vertical wall holes, complete with first choice panel, no.1 telescopic handrail on the right going up - no. 1 ladder opening stick and fixing bracket. 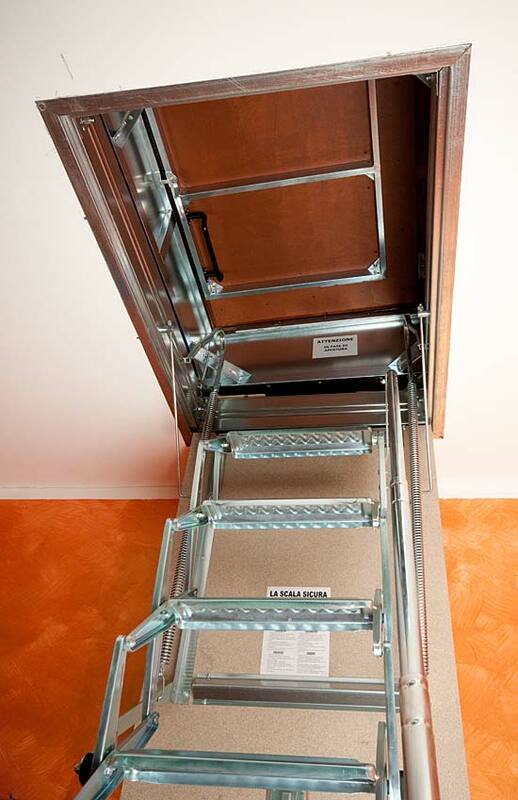 This retractable ladder is certified to sustain 270kg of weight. 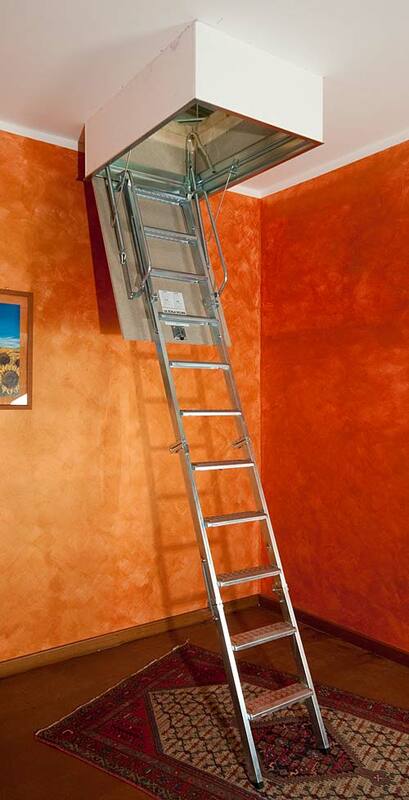 This ladder is ideal for roof access. 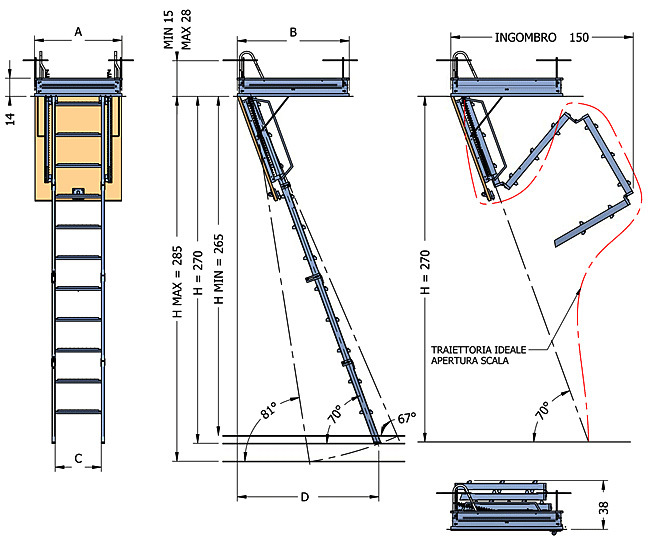 The frame of the outer terrace is build at an angle that allows the flow of water away from the ladder. 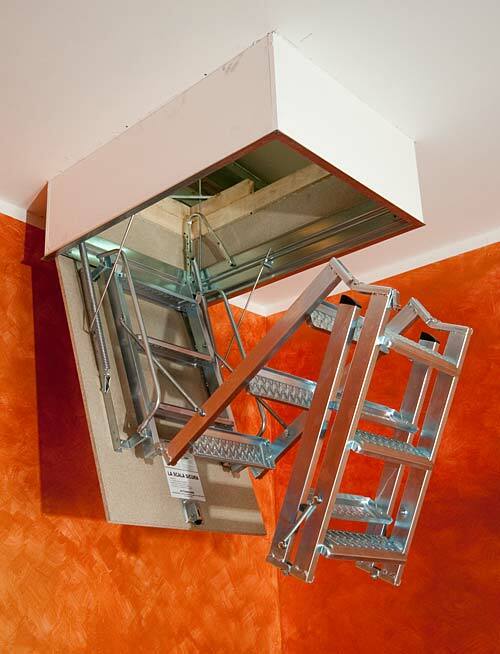 This retractable ladder is certified to sustain 270kg of weight. The trapdoor hole must be squire and preferably 1 cm in length and width wider than the size of the ladder. It is important that the trapdoor hole is solid so that it can support the load. At the bottom the hole must be at least 3 cm from any outer wall. At the top the two sides in length must be at least 12 cm from the wall. 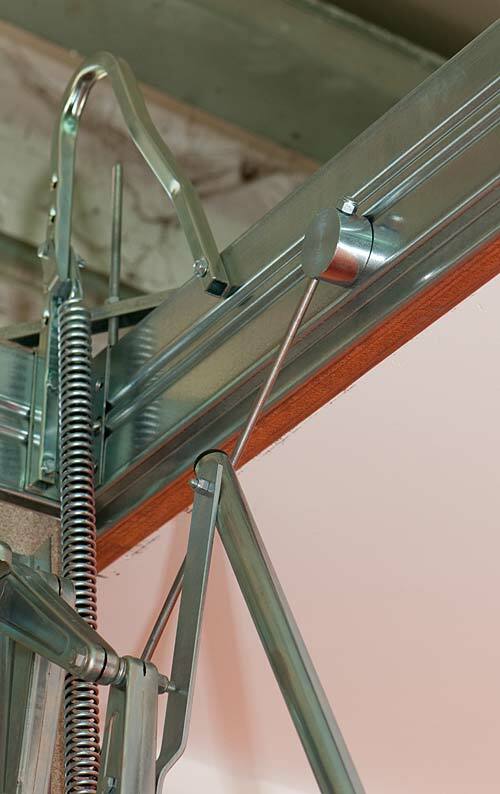 The ladder should not be walled in but positioned in the hole and secured with the four brackets supplied. 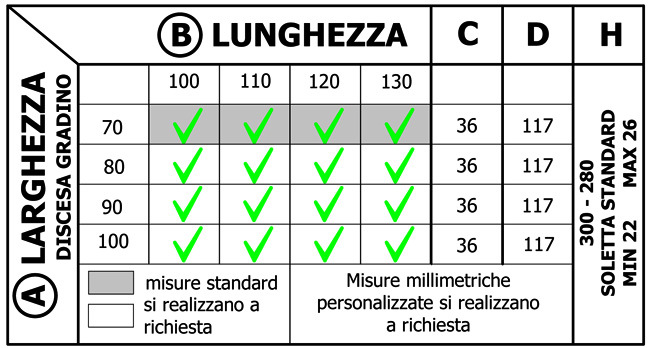 It is vital that at the time of assembly of the ladder the room be finished (plastering and floor completed) The perfect operation of the ladder depends on the hole sizes and on the building works that must be executed in a work-manlike manner.